No matter how many times you tell yourself that you will not leave it to Christmas Eve to buy those last few gifts, somehow it always happens - says the girl who is about to leave to finish her Christmas shopping!!! So for the likes of me.... Here's a little help on Christmas eve for last minute pressie ideas and the final edition of last week's wishlist feature, from the experts themselves: THE Fashion bloggers! Two of my favourites who are both so lovely and a pleasure to work with! I bumped into Soraya, the Swiss Fashion Blogger at one of the Temperley shows, I instantly fell in love with her overwhelmingly cool style and of course couldn't not Style Stalk this little lady! Since starting her blog she has caught the attention of the likes of Vogue UK, Cosmopolitan, ELLE, The New York Times and Vogue Brazil. 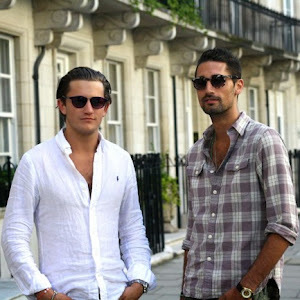 No surprises she also a freelance writer for Olivia Palmero's blog. If you are an Instagram addict like myself hers is a must follow!!! 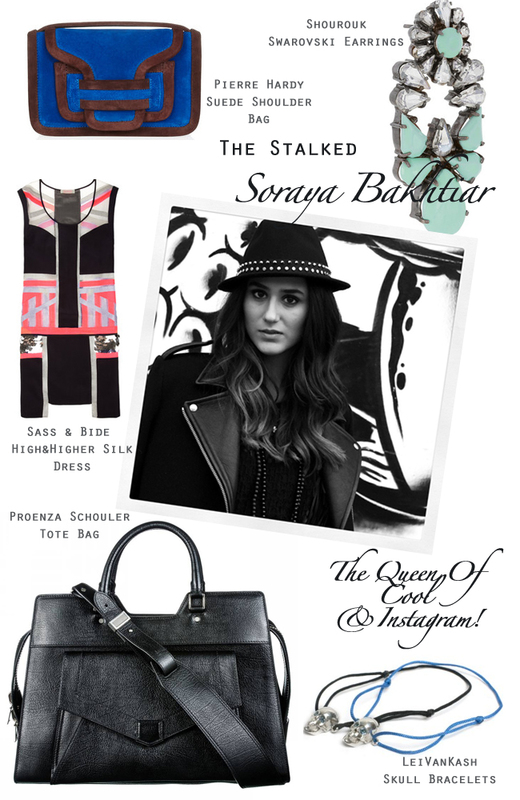 Soraya's Christmas Wishlist: Bag; Pierre Hardy, Earrings; Shourouk. Dress; Sass & Bide. Tote Bag; Proenza Schouler. Skull Bracelets; LeiVanKash. 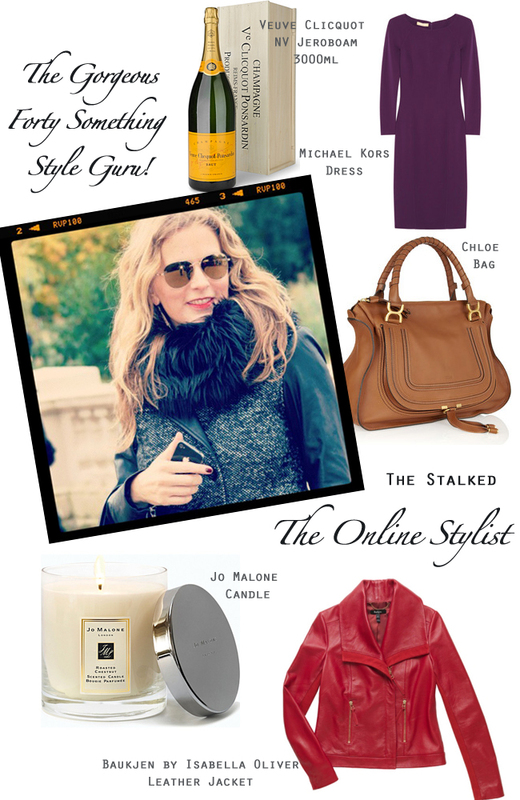 My second Fashion blogger is the stylish Amanda Start blogger from The Online Stylist. 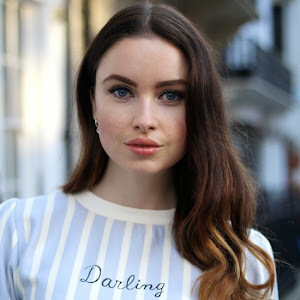 Full time blogger and fashion addict, as well as documenting her style and inspirations, she also offers a Style Advice Service for those 'I have no idea how to wear that' moments!! 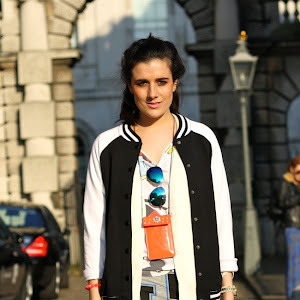 She is also one of my fav tweeters - follow her moments through fashion here! Amanda's Wishlist: Leather jacket; Baukjen. Candle; Jo Malone. Bag; Chloe. Dress; Michael Kors. Champers; Verve!! Ohh go on then... how could I not include my own Christmas wishlist!!! These are a few items I am currently obsessed with.. I love anything which is in the slightest bit eccentric, so this waistcoat from One Vintage is right up my street - funnily enough this time last year I profiled the sister store in South Kensington, D&Me! Then there's my forever obsession with Dominic Jones, this ring is definitely on my must buy list - awesomely enough it's also his slightly less expensive range D by Dominic Jones is exclusively sold on my-wardrobe. Last item I simply must go on about are the high tops... sparkly high-tops - seriously you can't get most Christmasy and cooler than that!! Ring; Dominic Jones. Waistcoat; One Vintage. 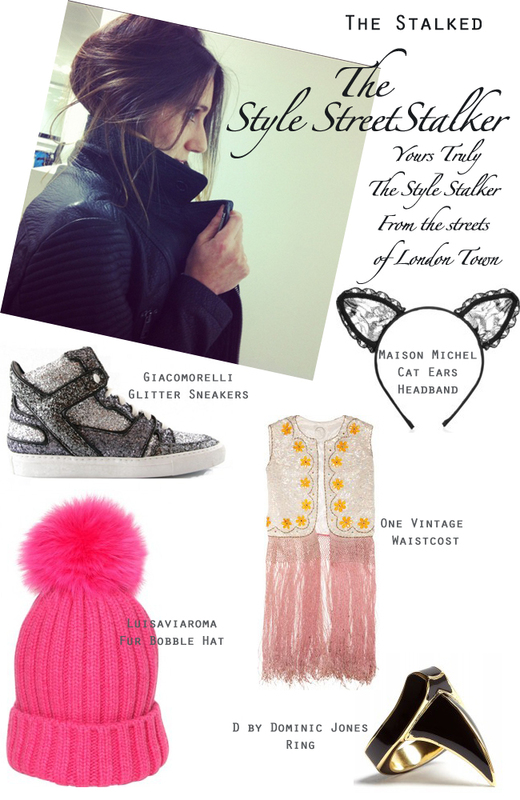 Bobble hat; Luisaviaroma. Cat Ear Headband; Maison Michel. Amazing post! love that vintage stuff , the glittershoes and the juwelry!